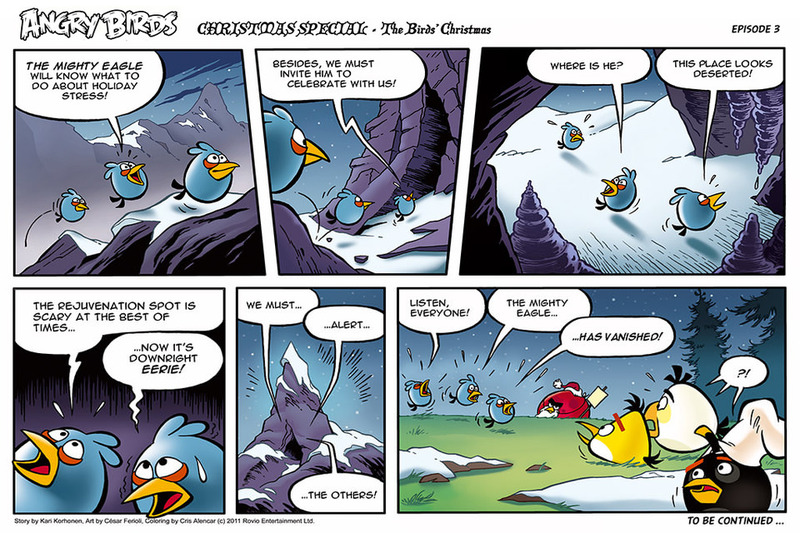 Angry Birds Comic Seasons Christmas part 3. . HD Wallpaper and background images in the Angry Birds club. This Angry Birds photo contains anime, comic book, manga, and cartoon. There might also be newspaper, paper, magazine, tabloid, and rag.